Holy wow did I have to wait a long time for my Hedgehog Hollow March 2018 box. USPS must have sent it around the world or something lol. It usually takes a week and a half to get something from the states but I had to wait twice that 🙁 Anyway it’s here now and all is good! You can see what I got in my first box here. The Hedgehog Hollow March 2018 box contains lots of goodies from Little Darlings Rubber Stamps or LDRS for short. It is excellent value for money this month for sure. We got an awesome envelope die that is big enough to hold a gift card. I got the fairy!!! The die set is called Fairy Fantasy. I still think I want the other one too though, that’s called Love Letter. We also got not one but two six inch paper collections. Twelve sheets of each, which is half a stack. The collections we got are Sweet Pea and Pretty Perfect. Alexandra also chose four hybrid ink cubes to match our papers. The colours are La-La-Lavender, Pink Tutu, Key Lime Pie and Raven. Best of all the LDRS hybrid inks work with both watercolouring and alcohol markers 😀 This makes me a very happy girl as I do both and it’s a pain swapping ink pads all the time lol. I just need a re-inker now as of course spots don’t last as long as full sized pads. We also got our cute lil Minnie Winnie & Furry Fabulous stamp and die set. The dies even match all the accessories for the dog and Winnie. Because I am a regular subscriber I also got some clear embossing powder. I was hoping for white but ah well lol. 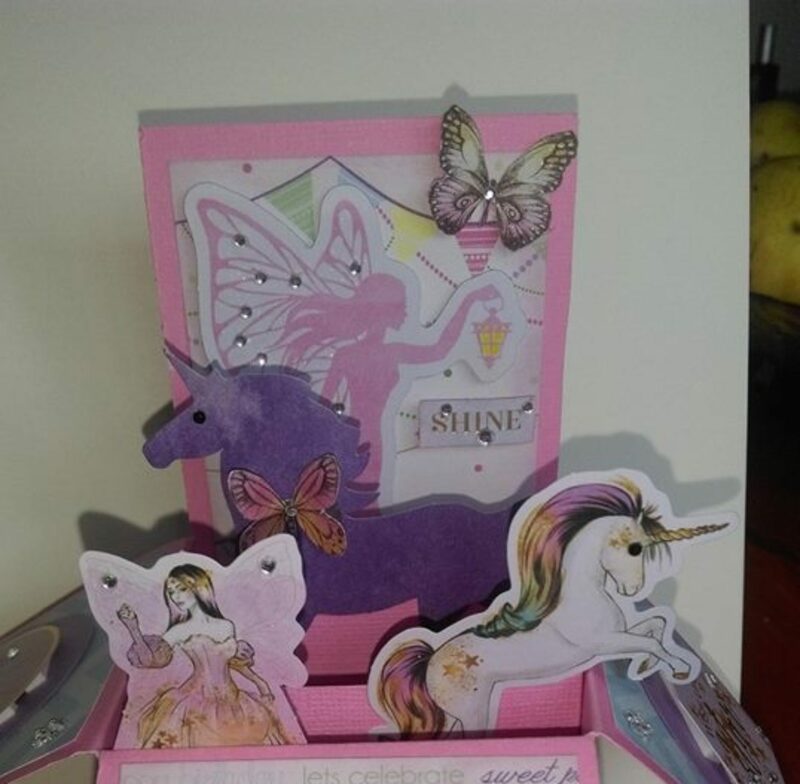 Finally we got Neenah Solar white and some other card stocks as well as velum to make cards with. I can’t wait to give this stuff a go. Is there anything you like from the box? What would you make? Thanks for joining me.